If you really want to keep your hearing loss a complete secret then you should check out invisible hearing aids. Tiny in size and fitting slightly deeper in the ear canal than most other hearing aids they are virtually invisible when worn. This ensures that you get all the benefits of having better hearing without anyone knowing how you are doing it. The technology involved in invisible hearing aids is known as IIC (invisible-in-the-canal). This technology has been developed by developing amplifier technology that can fit into a hearing aid smaller than a fingernail without any loss of performance. 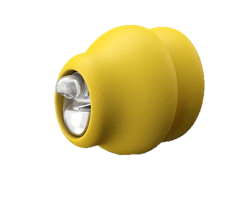 This ensures that when worn, the hearing aid is invisible to the outside world and ensures users get all the benefits of a modern hearing aid without anyone knowing that they are actually using one. Invisible hearing aids leave no visible trace to other people that you are wearing a hearing aid. Perfect if you want to keep your hearing difficulties private. When using these types of aid, you’ll often find that they have a better sound quality because they collect sound in a much more natural way. These types of hearing aid work great with phones, so are perfect if your job or general lifestyle means that you use the telephone a lot. Invisible hearing aids can be custom designed for you. These types of hearing aid are suitable for most ages, from young to old. Are Invisible Aids Suitable For Everyone? Whilst invisible hearing aids are suitable for many people, they are generally only suited to those people with mild to moderate hearing loss. They are also unlikely to be suitable for you if you are someone who suffers from frequent ear infections. You may also find they are unsuitable if you have ears that are particularly prone to excessive wax or sweat as these can blog the small tube of the aid, leaving it to temporary malfunction. Invisible hearing aids may also not be suitable if you find the operation of small switches and buttons tricky. As to how invisible the hearing aid actually is will also depend upon the shape of your ear too. Your personal suitability for an invisible hearing aid will be discussed with you at your free, no obligation initial consultation with a local audiologist. To book your completely free, no obligation consultation with an audiologist local to you, please complete the contact form or call 0800 2118320 and speak to one of our friendly and knowledgeable advisors.